I was delighted to read on Monday that at long last the council is seriously considering treating food as a valuable resource and looking to collect it separately on a weekly basis from other types of waste and recycling. 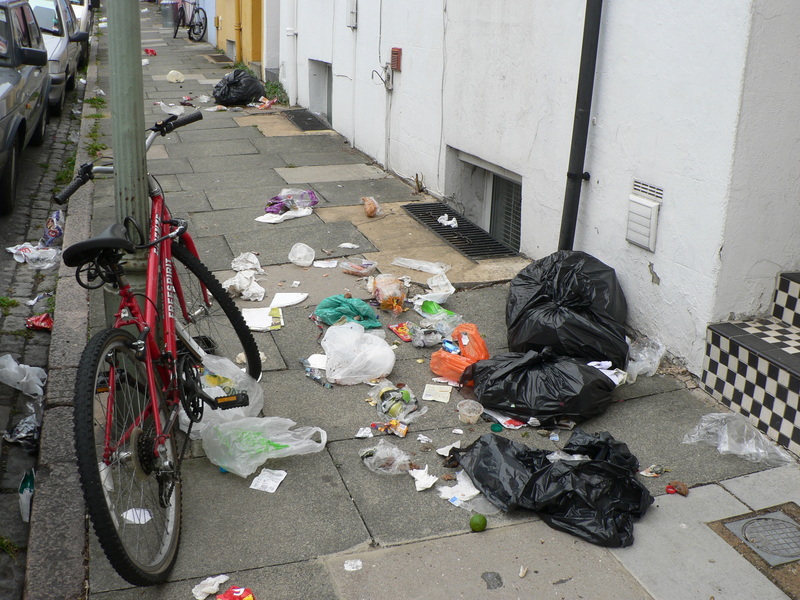 On rubbish collection day some streets in Brighton are littered with a stinking mess of food and other waste, even recyclables which children have to pick their way through on the way to school. This is a crying shame not to mention a health hazard. Whilst we should be reducing the amount of food that gets thrown away, fruit and vegetable peelings, meat bones and other things that can’t be eaten are still a valuable resource and can be used to create nutritious compost to spread back on the land to help grow more food. In addition depending on how it’s treated food waste can create energy at the same time as compost. In these days of rising food and energy costs we should be looking to improve the amount we do and produce locally, collecting food waste separately will help. Research in some councils where food waste is collected separately on a weekly and other waste on an alternate weekly basis shows the residents are happy with the service and the councils are saving money. Of course Brighton has many types of different housing which need to be catered for but we are also a creative City so let’s start working towards a viable solution that improves on the current situation, boosts recycling rates, saves us money and helps us move towards being a community which looks to reduce our footprint on the planet.